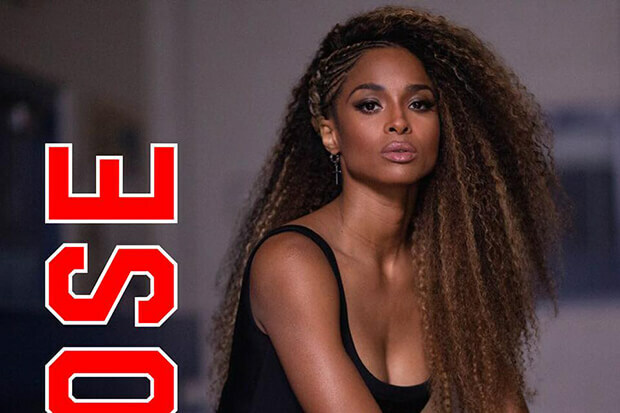 Ciara Celebrates Groundbreaking Women On Her New Anthem, "Dose"
Ciara is taking no prisoners. The R&B icon’s return has been one of the most exciting stories of the year. She kicked things off with “Level Up” back in July. The fast and furious floor-filler made an appearance on the Billboard Hot 100, and its video – a literal dance extravaganza the likes of which we rarely see – has amassed more than 70 million views. It also sparked a viral challenge as fans raced to post their interpretations of the choreography on social media. The 32-year-old linked up with Tekno and experimented with afrobeats on “Freak Me” a few weeks later. And today (September 14), she is offering another taste of new music with the unveiling of “Dose.” Unsurprisingly, she has another danceable banger on her hands. Collaborating with the likes of Darkchild, “Dose” is a bone-rattling and empowering anthem. Over a dazzling drumline, the siren drops some self-assured lines. “I’m a groundbreaking woman. I get loud when I wanna. Put me down, I go harder. Promise that I give you life, promise I know what you like,” CiCi announces on the opening lines. As the beat rushes on, she delivers dose after dose of excellence. She also imparts some wisdom for fellow risk-taking divas – “When you fall, fall. Just get back up again.” The production is fiery hot, and this is another release tailor-made for a tantalizing video. It is easy to imagine the hitmaker stunning yet again with an impeccable dance routine. In the meantime, she rolled out a lyric video. Produced on the TraceMe app, it features some inspiring footage of powerful women. Give the bop a spin and check out the lyric video below! Do you love CiCi’s new single? Let us know below, or by hitting us up on Facebook and Twitter!